There are several historic churches in Onehunga, reflecting the early European settlement of the area. 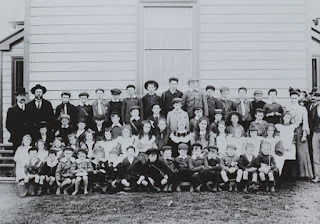 The first church services in Onehunga were held on the first Sunday (21 November 1847) after the arrival of the first contingent of the Fencibles. There was an Anglican service in the morning and a Catholic service in the afternoon. St Peter’s Church was one of the earliest churches in Auckland, constructed in 1848. The first service was held on Saint Peter’s Day, 29 June 1848.The stone wall at the church was built in 1853, a part of which still stands. In 1857, the tower and the spire were moved to the south side of the church. As the numbers of people attending the church grew, the original wooden church was extended in the 1860s and 1870s. 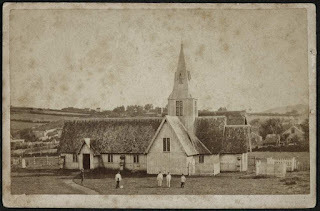 Ref: St Peters Church, Onehunga, 1860s, Sir George Grey Special Collections, Auckland Libraries, 957-192-1. If you had an ancestor who was working on the land in the 1830s in England there is a chance that they were involved in the Swing Riots. These started in the Elham Valley in Kent and quickly spread among the rural workers of the south and East Anglia. The unrest was caused by a number of reasons - machinery taking jobs from men, farmers offering lower wages, payment of tithes to the Church of England whether or not you were a member. 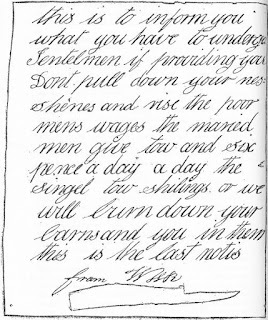 Threatening letters were sent to those who were considered in a position to resolve the situation signed by "Captain Swing" who was fictitious. If the warning was ignored it was followed by destruction of threshing machines, their engines, attacks on workhouses and tithe barns and later turned to burning hay ricks and other arsonist attacks. If caught, the rioters faced imprisonment, transportation or execution. Of the 2000 (approx.) rioters who were caught 252 were sentenced to death (only 19 were hanged), 644 imprisoned and 481 transported. This was an interesting post from a few years back that we thought you'd enjoy again. An interesting little read on our shelves is the book 'Til death us do part : causes of death 1300-1948. This small but fulsome book discusses the many possibilities of our ancestor’s deaths. The cancers and heart disease that end our lives today were much more difficult to diagnose until the twentieth century and the lifestyles of our ancestors made them less prone to contacting them. Instead, they could look forward to famines, epidemics and infectious diseases. 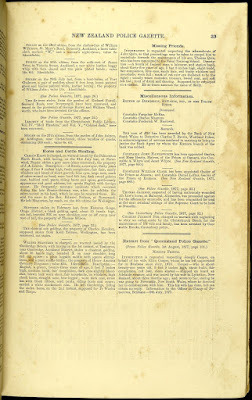 With the cricket season in full swing it’s timely to look at three of the earliest books about cricket in New Zealand. On the tented fields of the south, 1882 along with Pavilion echoes from the south, 1884-5 and the less poetically titled The Auckland cricketers’ trip to the south , are early accounts of the Auckland cricket team’s tours of the country that helped popularise the sport in the province. 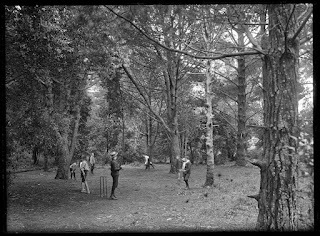 Ref: Henry Winkelmann, Showing a group of schoolboys playing cricket in Auckland Domain..., 9 December 1901, Sir George Grey Special Collections, Auckland Libraries, 1-W152. 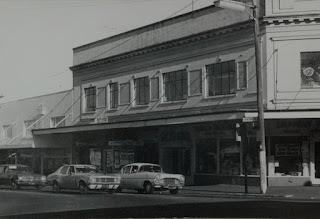 The NZ Police Gazettes (Wellington series) have now been digitised and are available for viewing on the Archway website. 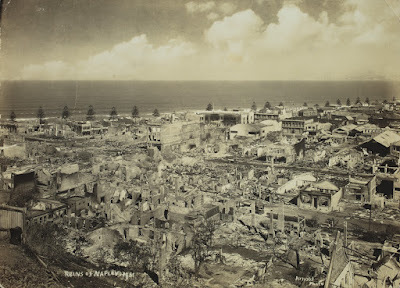 While these are the National Headquarters (Wellington) set, they include occurrences from all over New Zealand.